-Either bake or buy an Angel Food Cake. 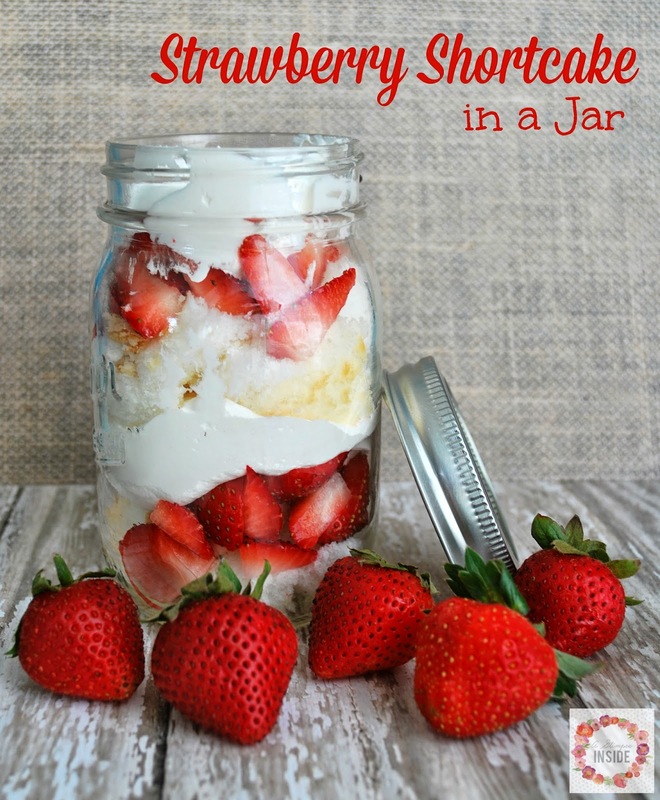 -Cut the food cake into small pieces along with the strawberries. 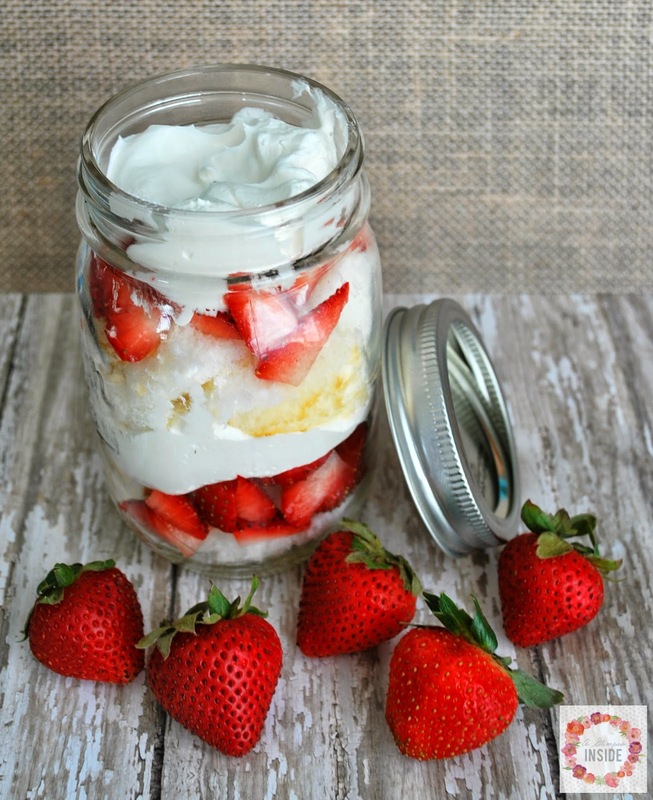 -In a mason jar, layer some angel food cake pieces, strawberries, and Cool Whip. Make 2 layers of each. Throw some blueberries in there to make it Red, White, and Blue for the Patriotic Holiday! Easy and delicious! I love strawberries! Quick and easy! Looks delicious.